The kingdom of God on earth remains a hidden mystery to many people. 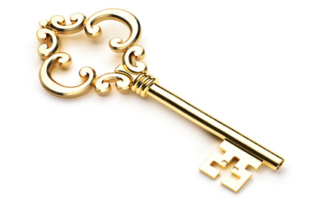 We have entered a new season of the mystery being revealed to multitudes of people who are being prepared to receive the Master Key to God’s Master Plan. Currently, both a season of great blessing and intense difficulty are being used by God to prepare a people to take a forever step into the deep Spirit mist of God’s glorious mystery life of total love. GOD IS THE SOURCE OF PURE HOLY LOVE. “And we have known and believed the love that God has for us. God is love, and he who abides in love abides in God, and God in him,” 1 John 4:16. “God is Spirit, and those who worship Him must worship in spirit and truth,” John 4:24. GOD IS LOVE, AND GOD IS SPIRIT! Therefore, love is a Spirit Substance imparted from God. Love comes to mankind though intimate connection to God in Christ Jesus by the Holy Spirit of God. “And I have declared to them Your name, and will declare it, that the LOVE WITH WHICH YOU LOVED ME MAY BE IN THEM, AND I IN THEM.” John 17:26. The Spirit love of God is not the natural “love” of fallen mankind. The natural man cannot know the things of the Spirit. (1 Cor 2:9-14). Without the work of Spirit God in man, we cannot know or possess the pure holy love of God. The baptism in the Holy Spirit is a supernatural baptism in the pure holy love of God’s Spirit. The primary characteristic of fully receiving and being baptized in the Holy Spirit is Love. The natural “love” that the natural man experiences always has some essence of self in it. This natural affection such as a mother’s love for her child or a man and woman’s romantic “love” for one another can be turned into despising or even hate when it causes intense pain or disappointment. The pure holy love of God for us and in us is not affected by or dependent upon that which the one loved either feels or does. The love of God for us and in us is unconditional and undaunted by circumstances. Yes, there will be pain when pure love is rejected, but the pure love is untouched by it. Where there is great love, there can be great pain. However, pure holy love is felt even more intensely and becomes a strong force toward potentially changing the situation. The love of God in Christ Jesus is the foundational core of the reality of the kingdom of God on earth as in heaven. Pure holy love is the core ingredient of abundant quality life in this world. Health, well-being, prosperity, righteousness, peace, joy, and every good quality of life comes by LOVE. All that we have need of and all we desire in this life is added to us by the love of God. Our part is to seek God’s kingdom and righteous way of being and doing by ABIDING in Christ Jesus and Christ abiding in us. Matthew 6:33, John 15:7, Colossians 1:27. God’s character and quality of life of love abiding in mankind is the source of the kingdom of God coming forth on earth. Everything on earth must respond to the love of God in His sons and daughters in Christ Jesus by the Holy Spirit. All the earth’s natural systems respond to the God life in man and begin to move into the perfect order of God’s original design for creation. The planet of war and strife becomes the peaceful garden of the will and ways of the kingdom of heaven ruling and reigning on earth. In this season we are rapidly moving toward the transformation brought about by the reconciliation of mankind, and subsequently this world, to God’s designed plan of the kingdom of heaven on Planet Earth. The work and life of Christ Jesus, the only begotten Son of God, is the reconciliation and restoration of all things on earth back to the kingdom of God. The bondages imposed on this world through the fallen ways of mankind are now being broken off the people of God. God’s people are being set free from the darkness and oppression of the enemies of God and man. ALL THINGS IN GOD’S KINGDOM ARE ORDERED BY LOVE! ALL OF THE LAW IS FULFILLED BY PURE HOLY LOVE. Love by its nature fulfills all the law. Where there is no love there needs to be law, but where love is there is no need for law. Power and wisdom come through love. The greatest motivational force on earth is love. Only for love will one lay down his life for another. Only for the love of God will we willingly lay down our life as crucified with Christ. It is by love that we are drawn to lose our self-life and enter into the far greater life in God and Him in us in Christ Jesus by the Holy Spirit. Wisdom comes from heaven through the love connection with God as the light of God flows to our hearts on earth. Love is light to a dark world. More on the light next week.